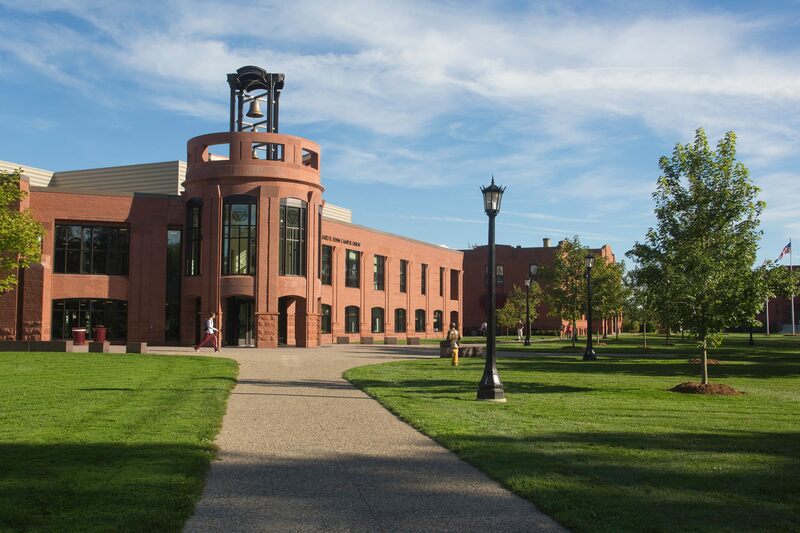 Springfield College’s mathematics and computer technology major provides students with a basic program of study in mathematics, computer science, and digital art that will prepare students for entry-level positions that require skills in those areas. Mathematics and computer technology majors may also opt to seek licensure as an elementary (grades 1-6) and/or special education teacher. Students enrolled in the major are required to complete a core curriculum consisting of computer science, digital art, and mathematics courses plus one of three concentrations: computer science, mathematics, or mathematics and computer technology learning applications. Students not seeking teacher licensure are encouraged to pursue internship opportunities through the Career Center in order to gain on-the-job experience. For more information about the mathematics and computer technology major, contact Dr. Andrew Perry, chairperson of the Mathematics/Physics/Computer Science Department, at (413) 748-3193 or the Admissions Office at (800) 343-1257. Students who follow this concentration typically seek elementary education licensure and must also complete the Arts and Sciences requirements and Elementary Teacher Professional Preparation requirements in order to satisfy the requirements for licensure as an elementary teacher (grades 1-6). Achieve at least a 2.500 cumulative GPA. Achieve at least a 2.500 GPA in their program requirements. Complete all program requirements with a grade of C- or better. Courses in which unsatisfactory grades were received must be repeated. Have completed or be in the process of completing any program requirements in which an incomplete was received. (Incomplete grades in program requirements must be completed by the end of the semester following the receipt of the incomplete, unless an extended deadline has been negotiated.) Students who do not meet these minimum standards are placed on departmental probationary status for a period of not more than one year. A student will be removed from departmental probationary status if and only if the minimum standards for advanced standing have been met. A student who is unable to meet the minimum standards during the probationary period will be subject to being dropped from the major. Once achieved, advanced standing must be maintained in order to continue in the major and complete the program.